CD’s – they are so last decade it’s unreal. It’s certainly no surprise that certain high-street chains have struggled to stay open when the main thing they sell is this rapidly aging format of music. For years we have all known that digital music is going to be the future – this time is now here and, if you haven’t already, it’s time the make the switch-over. Getting rid of your old CD’s is a great way of clearing space in your home and de-cluttering your life in general. With MP3 files only taking up the space on your computer or portable hard-drive, there’s every reason why you should do this as soon as you can. Making MP3 copies of your CD’s is actually very simple and takes barely any time at all. 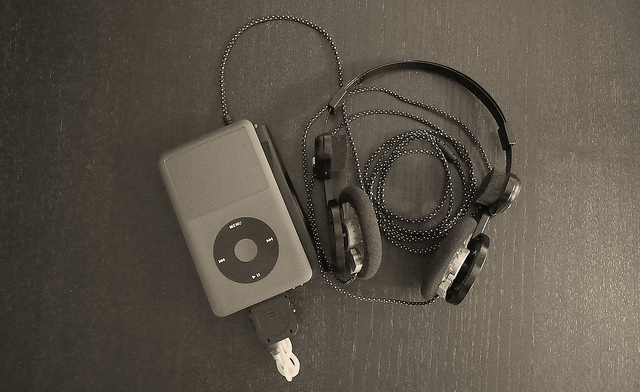 Whilst it used to be the case that not all CD’s could be copied onto a computer due to licencing restrictions some record labels implemented, these days most of them know that with iPods and other MP3 players being so widely used that they will restrict their audience by doing so. Now, all you need to do is to open up your chosen media player on your PC – for those on Windows the default Microsoft’s Windows Media Player, while those with Macs will be using iTunes, though you can download a whole range of programs to use for this purpose. Then insert the CD into the disc drive, wait for it to load and select the ‘rip’ or ‘copy CD’ option. This will then make copies of the files on your computer for instant playback. Sell them – Whether it be to collectors of merchandise from certain bands, or to those who still haven’t moved themselves into the 21st century by converting their music in digital formats, there’s bound to be someone out there who will take your CD’s off your hands. Unfortunately though, it’s unlikely you’ll make a massive amount, and may find that it will be a lot of work to post each individual disc to somewhere different around the country. Recycle them – Alternatively, you could get rid of your old CD’s in one go by finding a recycling service which specialises in taking CD’s, DVD’s and games and using the materials for alternative products in the future. It’s possible to find such services online and is by far the easiest way to get rid of your old music and clear some space in your house in the process. You’ll also make a bit of money doing this. So what are you waiting for? Make the digital music switch today and start de-cluttering your life!